The Learning Library – Page 2 – Excellence in Reading. Confidence in Filipino. FREE TRIALS! 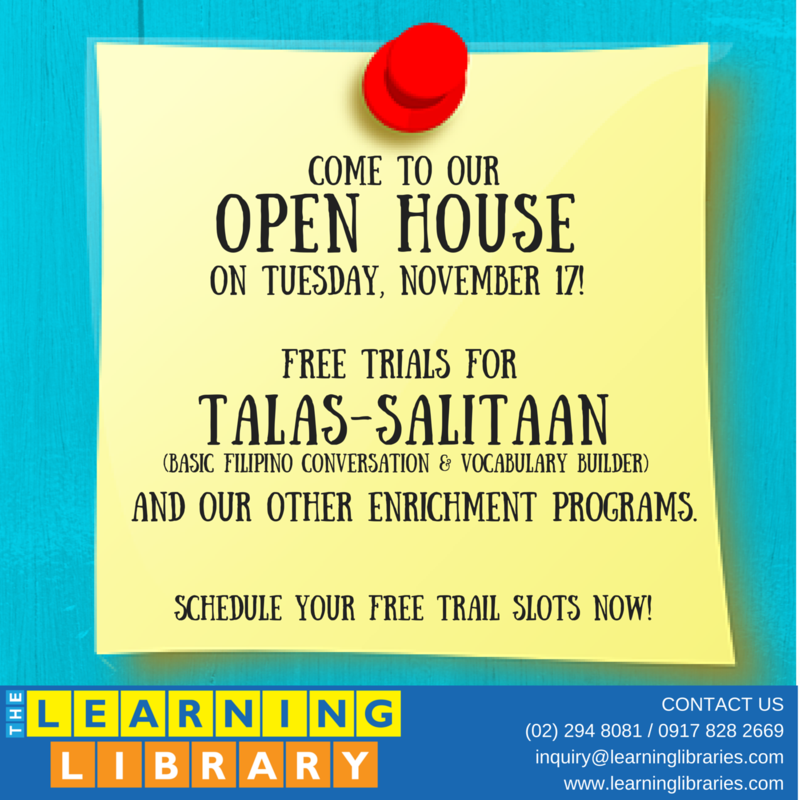 Come to The Learning Library Open House on November 17 and try a session of our Talas-Salitaan, Reading Advantage or Wika’y Galing programs for FREE! Reserve a session slot now. Participating TLL centers for the November 17 Open House are: Loyola Heights, Greenmeadows and Makati. 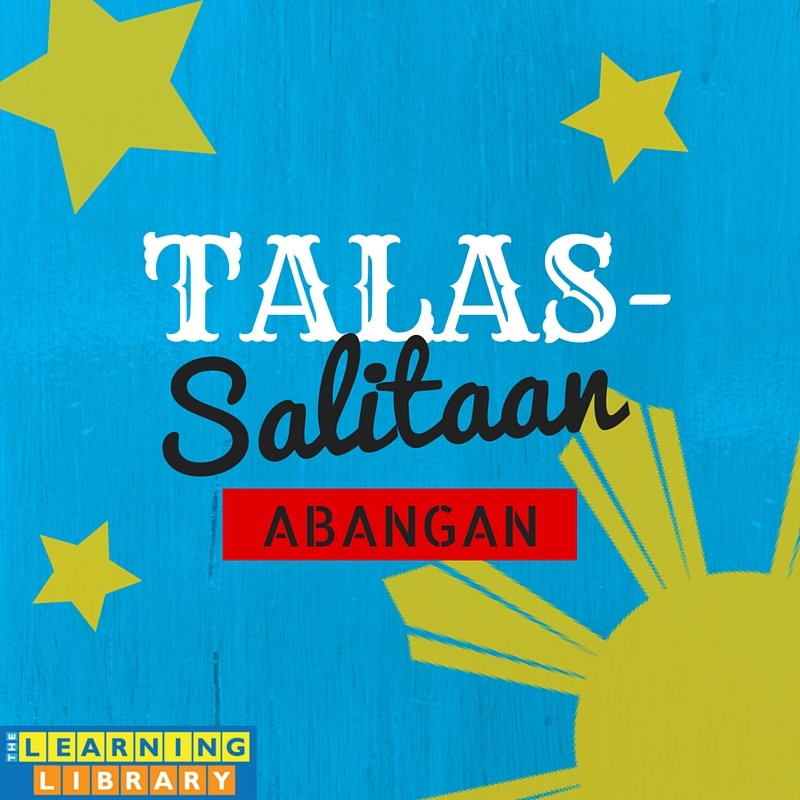 Come for a free trial session of TALAS-SALITAAN at our Loyola Heights, Greenmeadows and Makati branches on Tuesday, November 17! Schedule a slot with us at 290-8081 or 0917 828 2669 now. 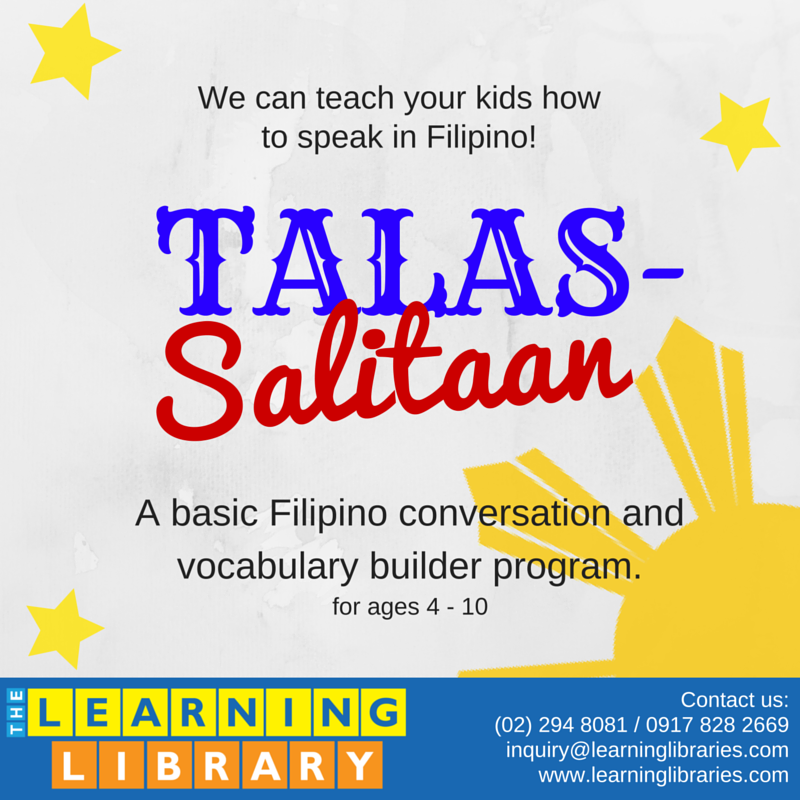 The Talas-Salitaan program runs for three months, with two 30-minute sessions per week to be scheduled at your convenience. Program fee is P3600. Bring a friend to The Learning Library on October 28 and join us for some frightful fun! Come with your favorite spooky tale, share a silly-scary story or get a book off our shelves and change some details to make it a Halloween adventure! The event is free for you and a friend. 🙂 Please let us know you’re coming through 294-8081 or 0917-828-2669 so we can save your seats. See you! 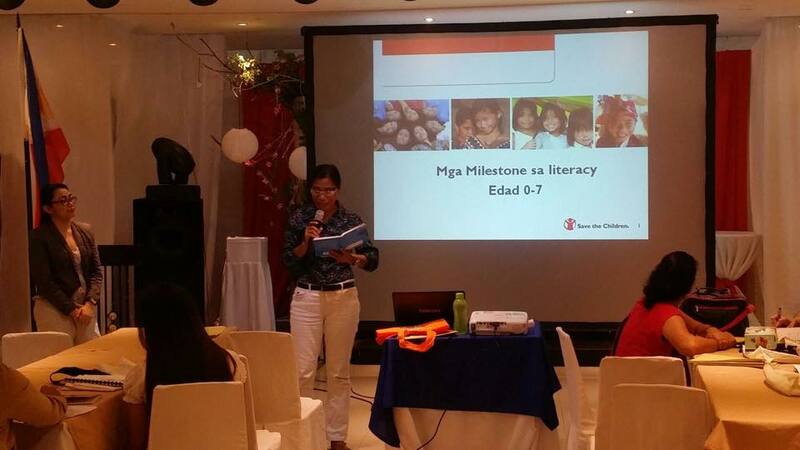 Our consultancy projects for Save The Children Philippines continue, this time with teacher training down south in General Santos City. 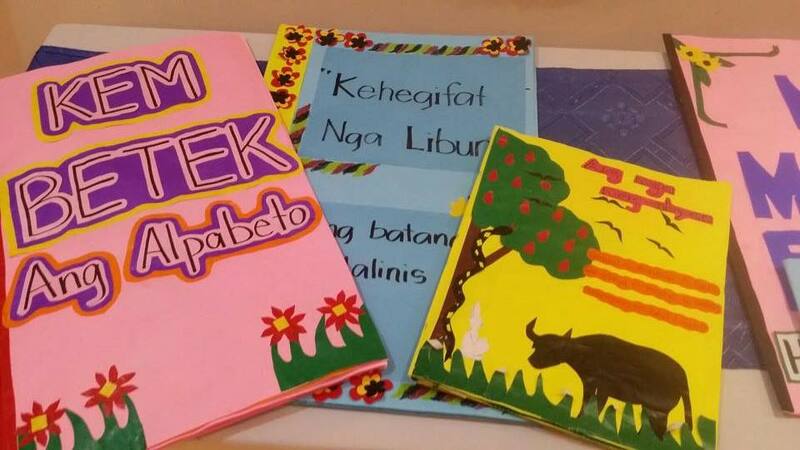 The Learning Library is training educators of diverse language backgrounds (B’laan, T’boli, Hiligaynon, Cebuano, Ilocano) on how to teach Reading to their students. 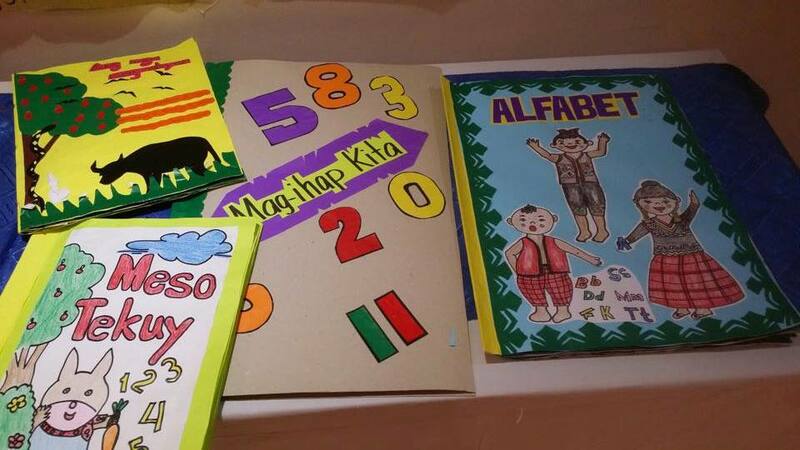 Teacher training output for the day: short stories, alphabet books and counting books in Hiligaynon, B’laan T’boli. Test and Homework Help with Free Enrichment! 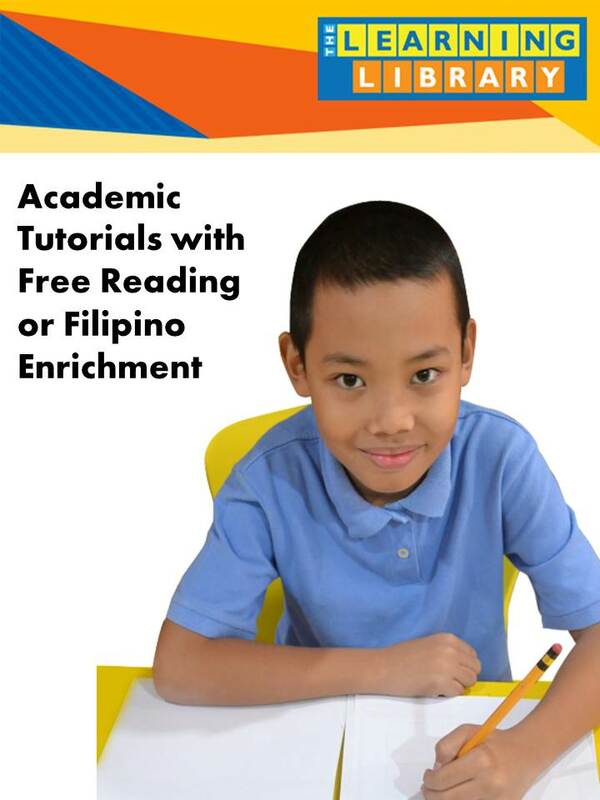 Our academic tutorial program for grade school and junior high school kids includes our trademark Reading or Filipino enrichment for free, to produce short-term and long-term results. Call 294-8081 or 0917-8282669 to reserve a slot today! TEACHERS! Share your Shelfie for The Learning Library! Hello beloved Teachers! October is your month at The Learning Library and we have something exciting for you. Join our TEACHER’S SHELFIE contest this October! 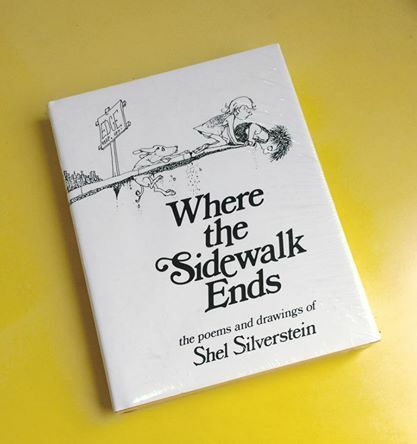 2) On our page, post a photo of yourself by a shelf, with your favorite book for the given category of the week. 3) Together with your ‘shelfie’, post a short review (30-100 words) of your chosen book. 4) Tag yourself on your Facebook post so that your friends can see your ‘shelfie’ on your FB page too! 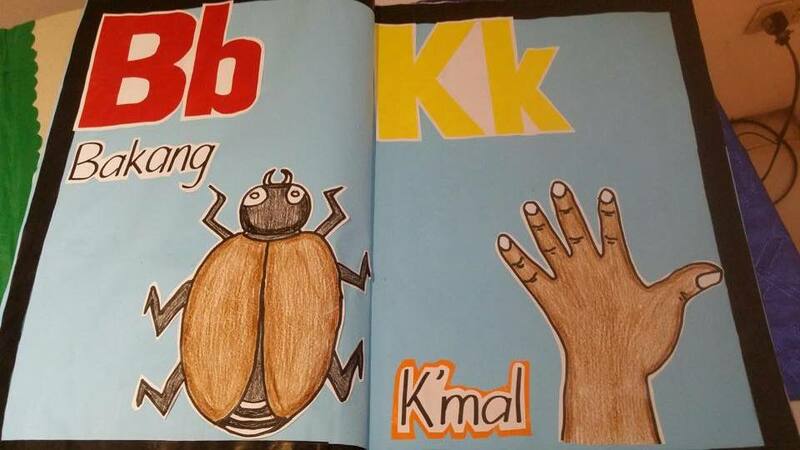 5) At the end of the week, the teacher whose photo and book review receives the most LIKES wins the weekly book prize! We’re excited to see your Shelfies! 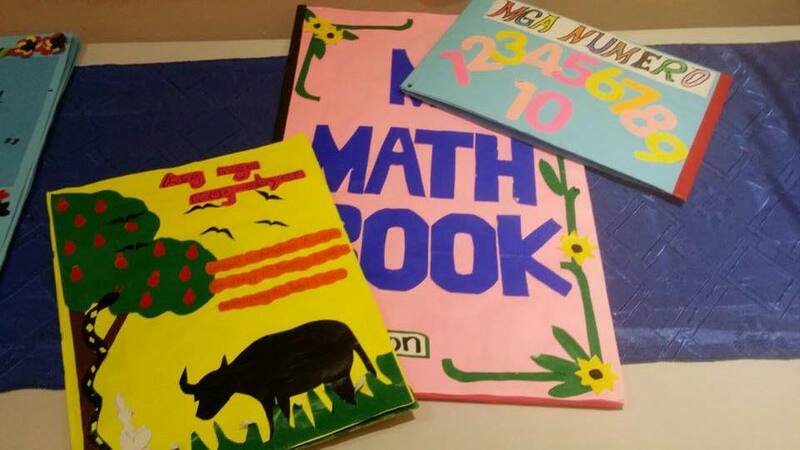 Is your child having difficulty in Filipino? WE CAN HELP. Is you child having difficulty in Filipino? We can help you! 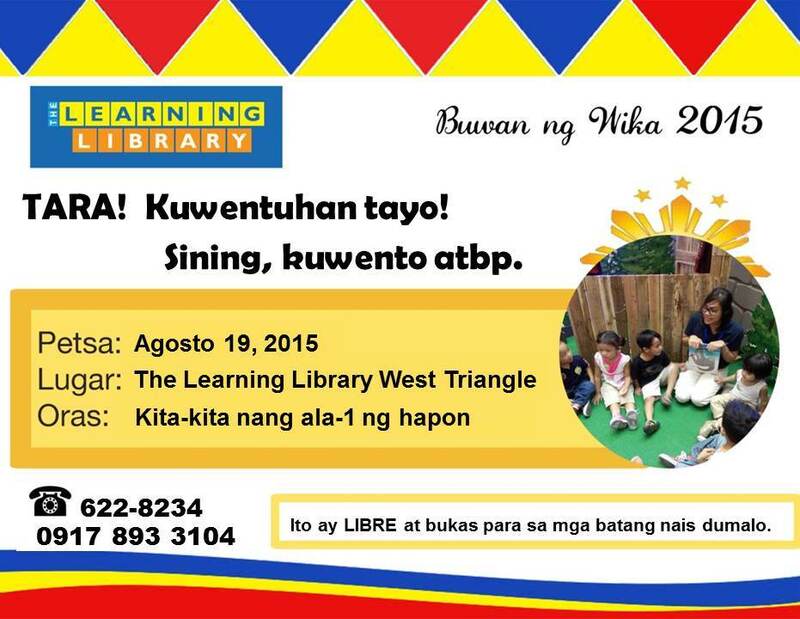 Magkuwentuhan tayo sa The Learning Library West Triangle! Mga kaibigan! 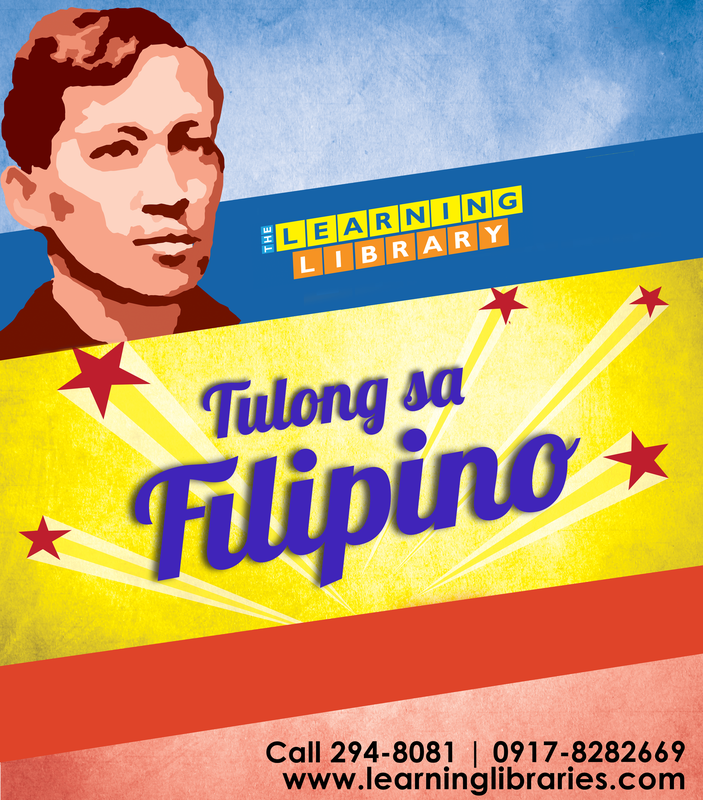 Ito’y isang paanyaya mula sa The Learning Library West Triangle ngayong Buwan ng Wika. Kita-kita tayo sa Agosto 19 para sa masayang kuwentuhan. Mag-uumpisa ang kasiyahan nang ala-una ng hapon sa 2/F ESG Bldg., #4 West 4th Street, West Triangle Q.C. Mas nakakatuwa ang kuwentuhan kapag may kasamang kaibigan! Halina mga bata! Magkuwentuhan tayo. 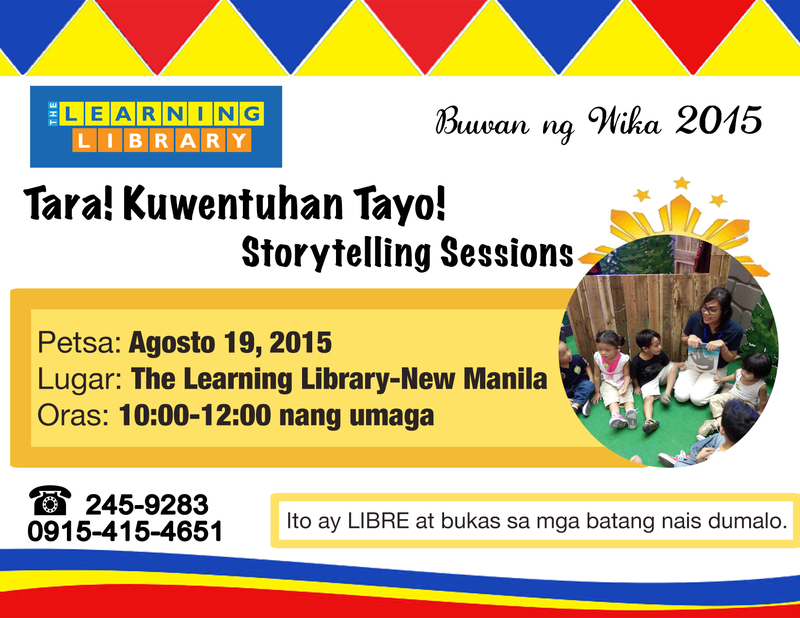 Magkita tayo nang 10:00 sa umaga, Agosto 19, 2015 sa The Learning Library New Manila (3/F Seneca Plaza, 1152 E. Rodriguez Sr. Avenue, Q.C.) Magyaya din ng kaibigang makakasama!